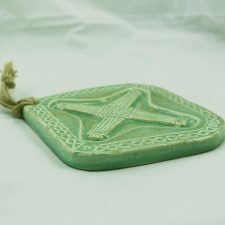 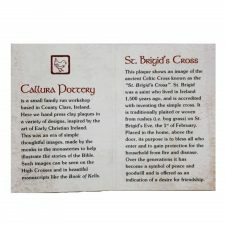 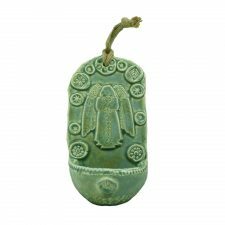 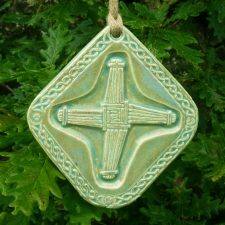 This is a beautiful design of the St. Brigid’s Cross, a ceramic wall plaque with strong braided rope for hanging. 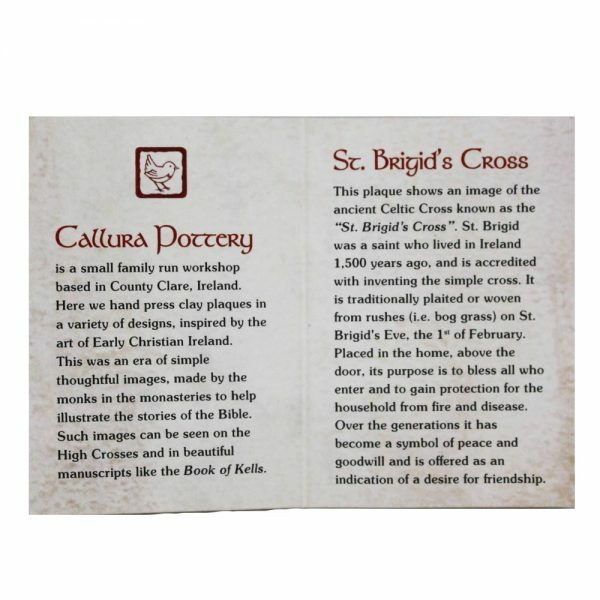 St. Brigid is the 2nd patron saint of Ireland and her St. Brigid’s Cross is the traditional Irish housewarming gift. The belief still holds true to this day that the St. Brigid’s cross protects a house from fire and evil, every home should have one! 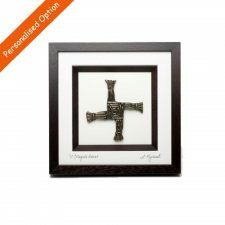 This St. Brigid’s Cross would look great in both conventional and contemporary homes. 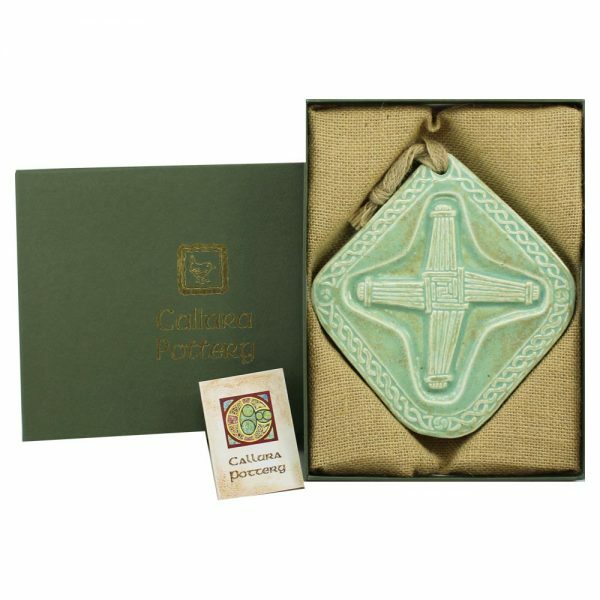 A very beautiful design of the traditional St. Brigid’s Cross, handmade in Ireland by Callura Pottery, Co. Clare. Quality handmade Ceramic St. Brigid’s Cross with a strong braided rope attached for hanging. 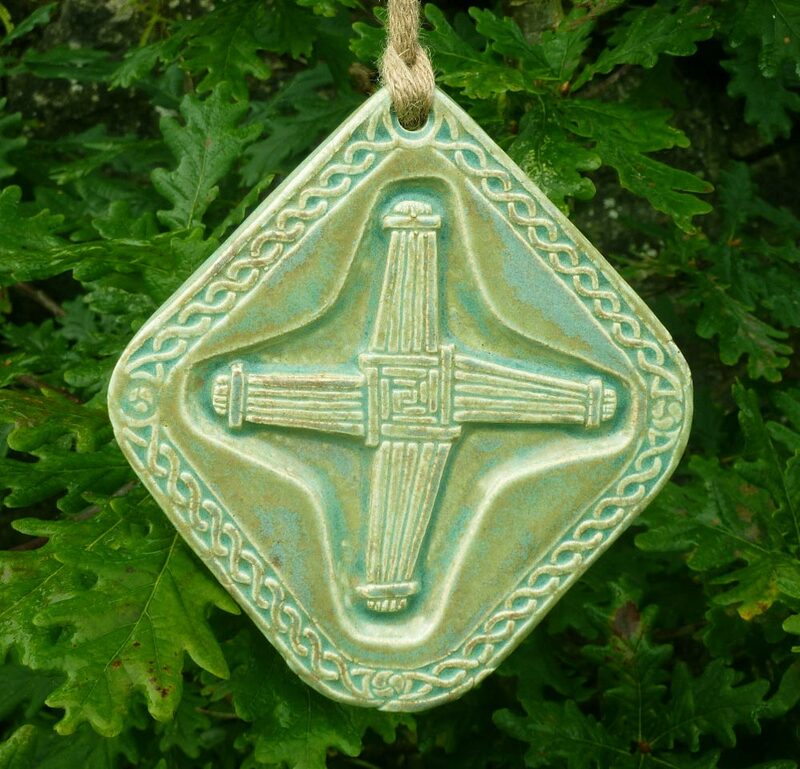 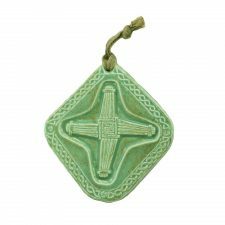 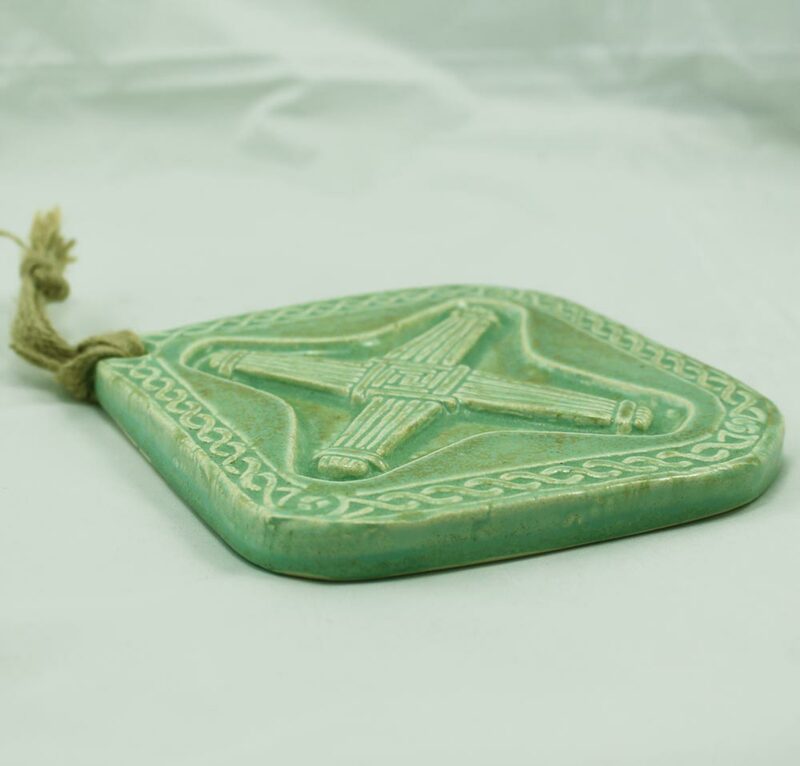 This St. Brigid’s Cross is a hand pressed clay wall hanging, fired and finally glazed. Presented in a Callura Potter presentation box. As this gift is handmade, please allow for slight dimension and colour difference. 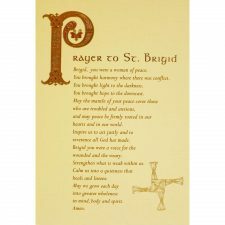 Read my blog on St. Brigid here. 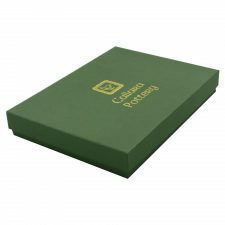 Great quality, love the colour, love the gift box – 5 stars!